And by Venice I mean Italy not California. An easy thing to confuse. When I was a first-year student at Brandeis I took this awesome class called, “Merchants, Moneylenders and the Ghetti of Venice” taught by Dr. Benjamin Ravid who is an expert in this field. Needless to say the class was fascinating though I was totally ill-equipped in my first semester at university for such an intensive, seminar style course. Fortunately, I had opportunity to travel to Venice after my senior year, though only for one day, and tour the Jewish Quarter. I am resisting every urge to go into a lengthy history lesson about Venice and the pivotal role of this community in post-inquisition Europe (Venice is one of the first stops on the way to the Levant/Ottoman Empire where many Jews continued on). So, instead, I will just encourage you to read this article. If you have opportunity to get to Venice, definitely stop in the Jewish quarter (and then have some gelato for me anywhere in Italy). It is nice that there is a Chabad presence in Venice and I, or course encourage any liberal Jewish visitor to seek out the appropriate organizations that will meet her/his needs. 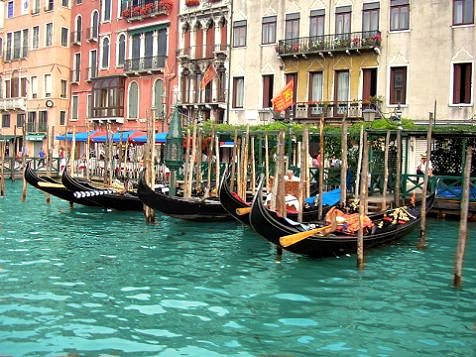 Regardless, there is very important history and culture of our people in Venice! Go and see and learn. We were there a few years ago and loved the Jewish quarter. Went into all the synagogues. Got invited for shabbat dinner and found the history fascinating. Oh, and the gelato was awesome!! !